If you are looking for personalised christmas decorations to give to a loved one, family member or friend this year then have a look at our shop page to see the wonderful array of great gift ideas for this Christmas. 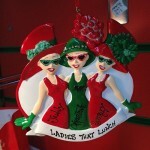 Delightfuldecorations.co.uk are one of the UK’s leading sellers of personalised Christmas decorations. Having over 8 years of experience with these products we take extra care to ensure the quality of your decoration is excellent. 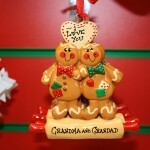 Why Choose Personalised Christmas Decorations? 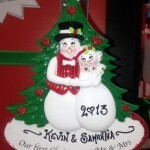 A personalised Christmas gift, like a tree decoration is a gift that can be brought out every year, the quality christmas gifts that we offer are hand written and top quality build so as to make them last for years to come. A personalised gift show thought and that real thought has gone into selecting a gift for someone who is held dearly in your heart. We offer personalised gifts for families of 7 people and older. If you friends or families with 5 children or more, a gift like this will last in their family for generations and be looked upon fondly every time Christmas comes round. Not to mention being great value for money alternative to buying presents, that can be used every year.